As a Herefordshire Writer I feel one of the best features of this county is our food! We have so many great cafes and restauarants to choose from and it’s guaranteed to release the glutton in you. 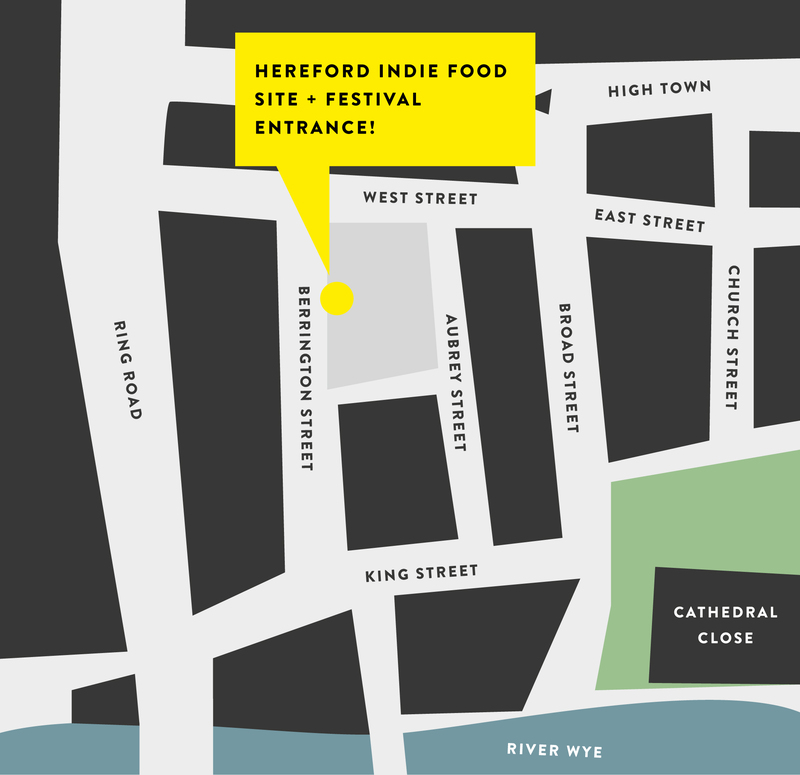 This Bank Holiday we had the pleasure of a foodie frenzy weekend by way of Hereford Indie Food Festival! 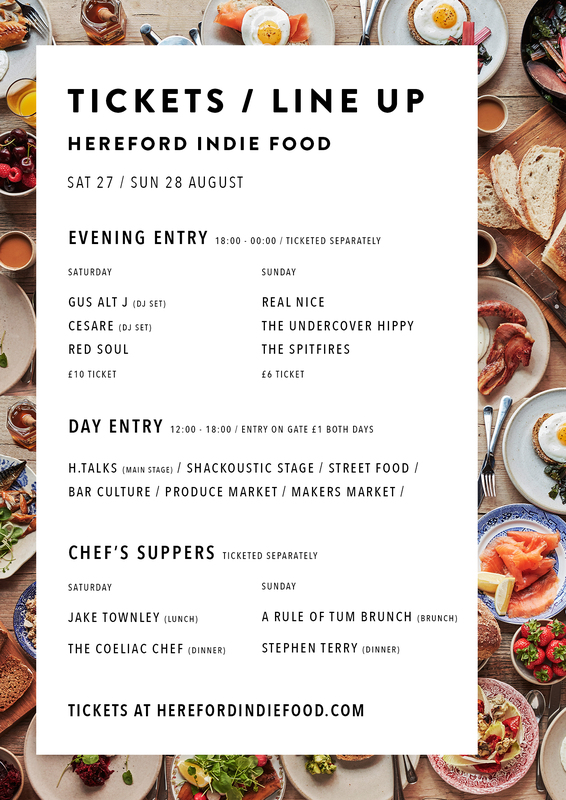 This Festival celebrates Hereford’s Independent food culture and is formed by the team behind “A Rule of Tum” Jon Stead, Edwin and Dorian Kirk. The Maker Markets lined the festival en route to the street food stalls. Visit NouveauBohemian.com to read more about some of the artists and designers showcasing their work. It’s such a lovely chance to get to know creatives in our county many of whom studied at Hereford College of Arts. Queues abounded on The Shack Revolution’s pop-up cocktail stall. Many of you will be familiar with brothers James & Rich Manning who started The Shack Revolution bar located in Bastion mews. Their farm-made boutique and bespoke bars pop up everywhere around the country from Weddings, corporate events and even Wembley Stadium and football clubs! They also provided some live acts via their Shackoustic Sundays spot attached to their drinks booth. Next time you’re on a night out in Hereford, visit their bar for pizza, beer or cocktails! The festival culminates into a Bohemian foray beginning with Makers Market stalls upon entry. Then as in a restaurant you are tempted with a starter: some nibbles (Goat’s cheese from Neal Yard’s Creamery?) and drinks from cider to cocktails. Finally you make your way through the leafy archway into the street food arena…. There’s plenty of seating for all the family from haystacks to sofas! The outdoor dining areas had a wonderful communal feel and many visitors from outside our county had come over for Bank Holiday weekend. I really wished I’d gotten The Chefs supper tickets at the Bookshop. Also I didn’t get around to staying on into the night so missed the music acts! As I have such a sweet tooth my first stop was at the King Street Kitchen stall where I purchased a salted pistachio brownie (made with coconut flour) and tried the gigantic chocolate, caramel and pretzel cake which was divine! It was absolutely jam-packed and the unusually rainy weather couldn’t deter us from this gourmet gathering. All in all an excellently executed collection of music, food, fresh produce and creativity. It was a pleasure to be in attendance this year and I look forward to returning again next year! How delightful are these flowers carefully arranged by The Great British Florist? This particular florist is based on a farm in the Duchy Estate in Herefordshire. The team also facilitate The Great British Florist Flower School. From single workshops to a series of workshops you can dabble your green fingers in their courses! The article was originally posted on HerefordshireWriters.co.uk found here. More photos of the Festival here. Read more about Edwin Kirk, Jon Stead and Dorian Kirk on Herefordshire Live here. 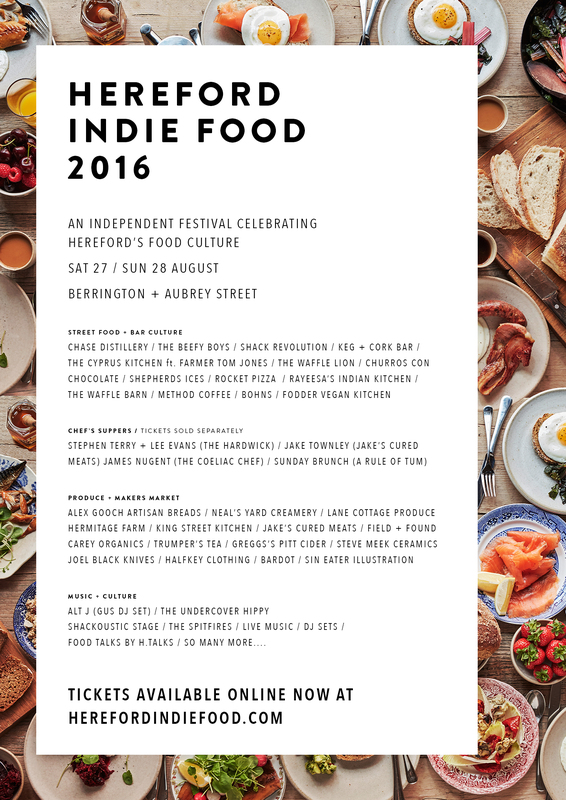 For Full Listings of businesses, bars, cafes, makers, street food and live acts on show over weekend 27th-28th August 2016 visit HerefordIndieFood.com plus check out their magazine: Hereford Indie Food’s Magazine (Vol. 1) here. This is the cutest home renovation/makeover story you will ever see! Wolves in sheep’s clothing are the bane of my existence. All I can do is expose them… They are sadly everywhere particularly in the workplace. Beware and be vigilant guys…. Please share this blog post, watch the videos and tell friends or family that may be subject to this sly and destructive treatment. Let’s tackle bullying and put a stop to the actions of wolves in sheep clothing. As some of you may know I am an Author, Poet and blogger of the Arts & Culture (ArtsyJolieGirl.com) alongside this Lifestyle blog… I’ve started a mini poetry reading tour and did my first ever solo poetry performance last Thursday 03.03.16 here is a ✍ fabulous review ✍ from the wonderful Hereford Events & Culture blog HerefordCityCentric.com. Do visit their site sometime and why not pop to Hereford to visit this charming and historic city…. Arriving slightly late to the reading by Catherine Vaughan, I can’t help but feel anxious that I missed out on of some of this lady poets carefully crafted outpouring, and the whimsical and energetic approach in which she passionately read through her material. 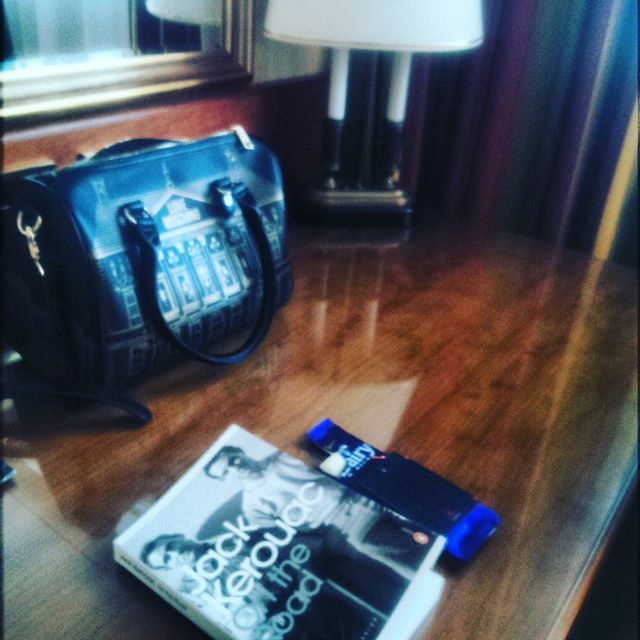 I arrived to an aptly poetic atmosphere; the room was beautifully lit with candles illuminating the oak beams on the ceiling, and the tables almost completely packed with humans keenly hanging on to every word. Catherine had reeled them in, I would be next. De Koffie Potholds many events in this room on the first floor of the converted stables nestled alongside the River Wye. A charming setting difficult to parallel in the city unless you boast any sort of river front property. Cadbury’s top Deck available on Amazon. Yay! I’m choosing to give up chocolate for lent….